This is an article from our new series – Customer Spotlight. 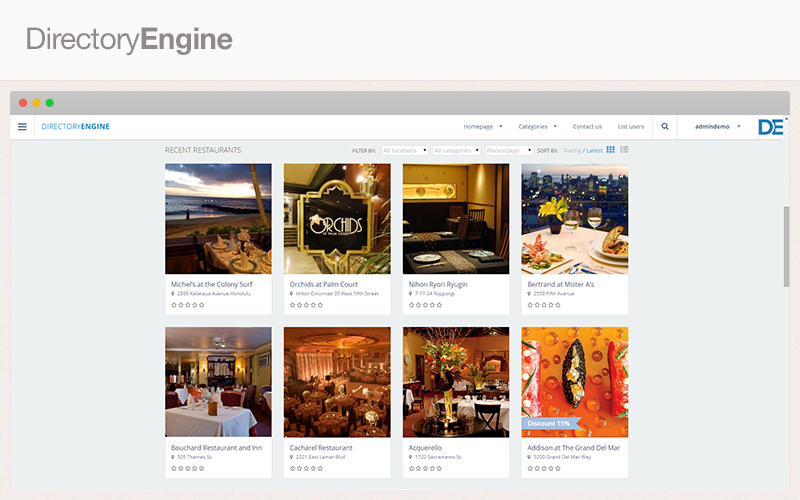 Customer Spotlight is a totally new section in our blog page featuring EngineThemes’ customers participating in different industries, who share about their business and experience with our products. With this new page, we hope that our valuable users can have a place to communicate with each other and gradually improve their businesses. For the first article, we want to share the story of a youngster who is trying his best to climb the ladder of success: Kent Nguyen. Kent Nguyen is a young, dynamic business owners. After a period of time working as a multimedia designer, he decided to start-up his own business. 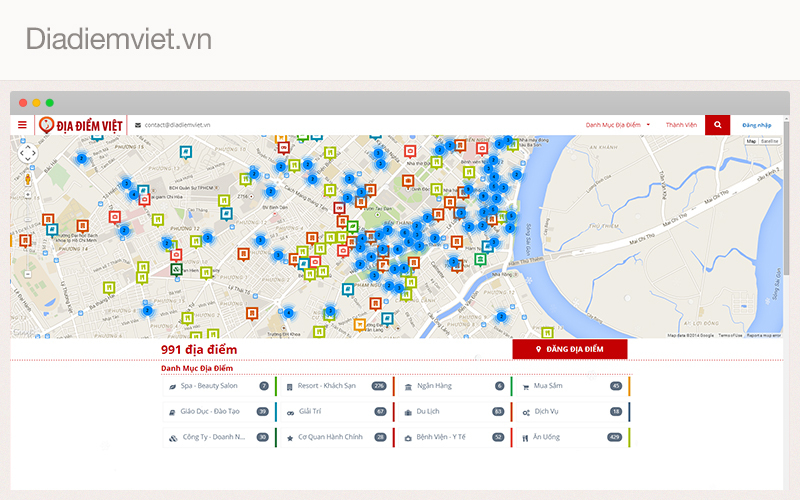 Diadiemviet.vn is a basic yet effective directory website which provides different place addresses in Vietnam. 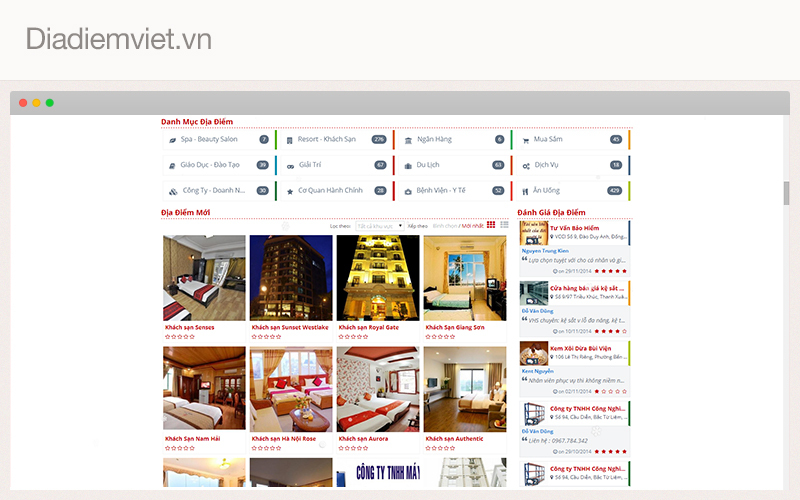 Don’t want to limit itself in a specific business, diadiemviet.vn is a collection of various kind of places such as: Hotels, Restaurants, Banks… Though it has just been creates for a few months, it now has nearly 1000 places and continuously growing days by days. “The first thing we love is the scene” – It is DirectoryEngine’s design the one that catch Kent’s eyes. He said that he was impressed by DE’s scientific arrangement, clean interface and it’s also the feeling he wants his website can show off. Moreover, a good beginning makes a good ending, he found it was quite easy to setup the site, which was really helpful especially with the ones who doesn’t know much about technology. And the best of them all, from all the features DE offers, the “Event” function is the one he really likes. He believes that it plays an important part in getting customer attraction. However, it’ll be better if there’s an additional function for it, a “Pending events” feature for example. Besides, he’s also looking forward to the Widget system’s improvement, which will includes some different ones to help the admins flexibly arrange the subsidiary pages.